3. 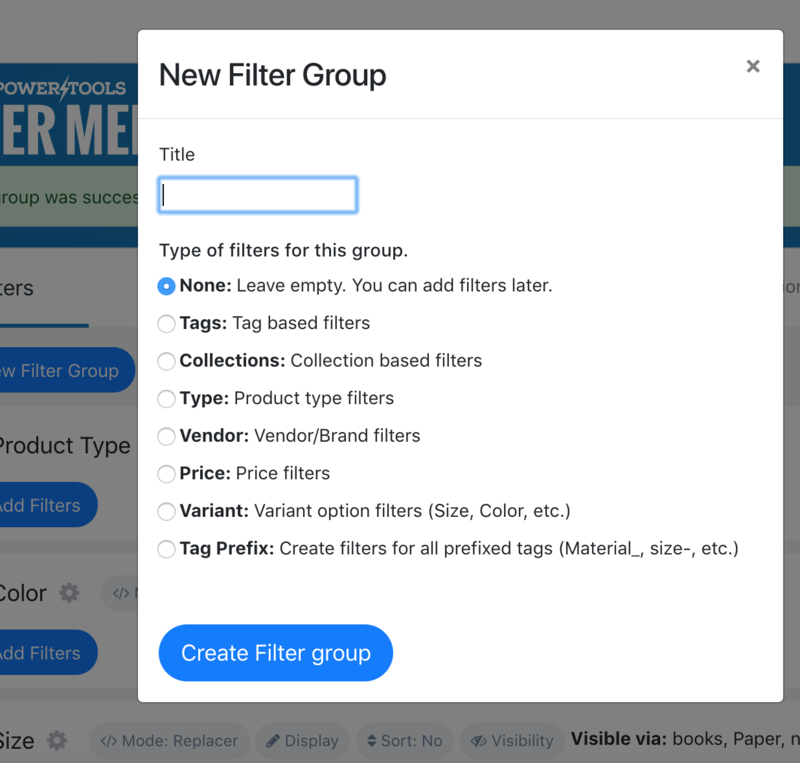 Select the type of filters - this is the parameter the app will 'look up' in your product's data. For example, if you select 'Vendor' here the app will look up vendors you have for products. 4. Click the green 'Save and Update' button.